Turn-down service has long been performed at high-end hotels as a way to give guests an extra touch of luxury. This simple method of preparing a bed for use can also provide a classy touch at home for guests or simply as a way to spoil yourself and your partner. While you may want to skip putting chocolate on a pillow, the same effect can be had with a flower, a decorative pillow or even a personalized note. Pull the bedspread to the bottom of the bed. Fold it neatly across the bottom. 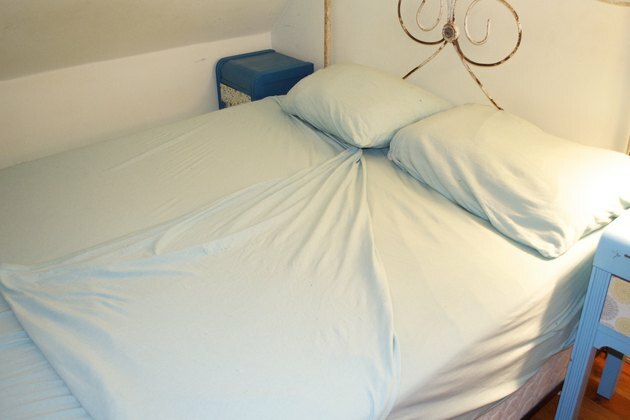 If the bed is covered in a duvet, fold it to the halfway point of the bed. Grab the upper corner of the sheets and blankets. 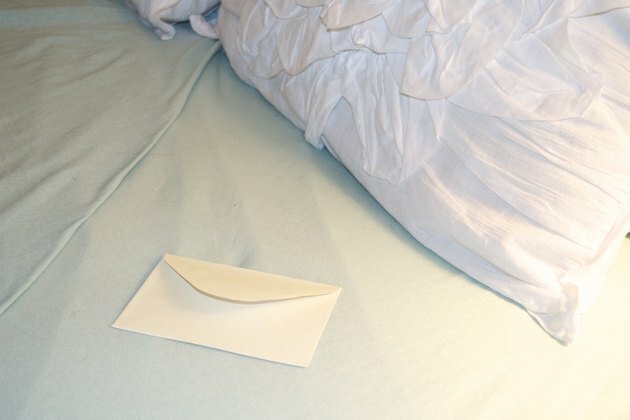 Fold them in a triangular fashion toward the center of the bed. This creates a spot for the person using the bed to get into the covers. 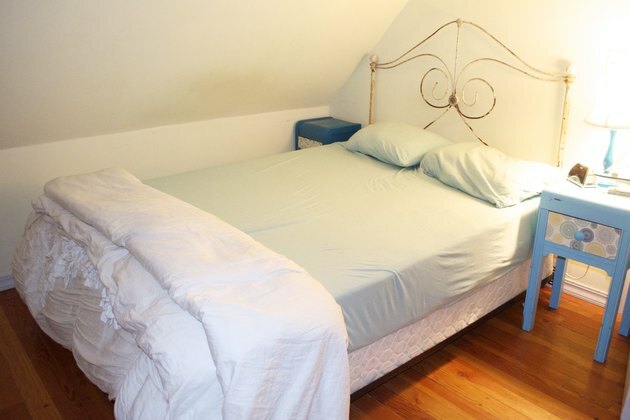 If you are turning back both sides of a double bed, the folded-back triangles should meet in the middle. Fluff the pillows. 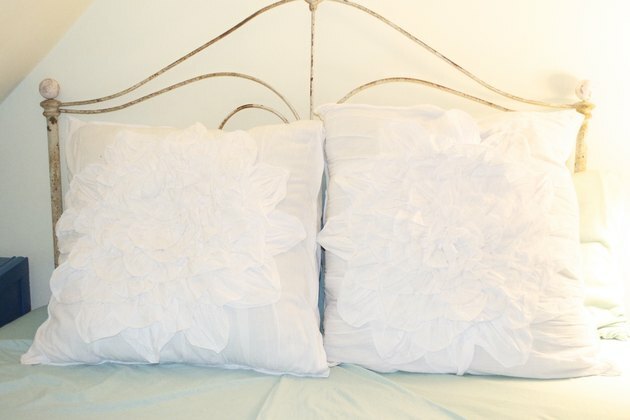 If you have more than one pillow on each side of the bed, stack them decoratively in an attractive fashion. Place any desired amenity on the folded part of the sheet. This might include a robe, slippers, a cut flower or even the traditional mint. For a guest in your home, you may want to consider placing a personalized note or card. Turn down the lights. 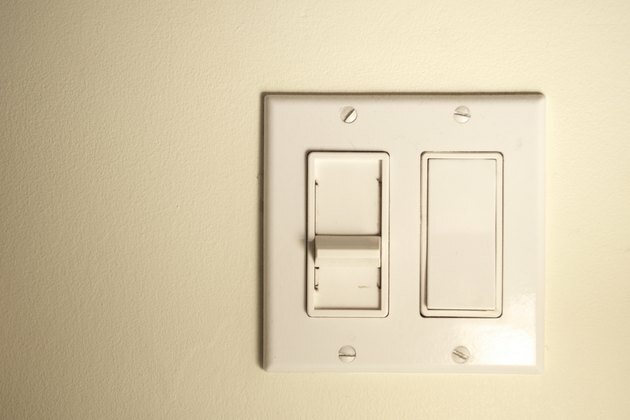 If you have a dimmer switch, dim the lights to a low setting. Turn off any bright lights and leave on just a soft light. 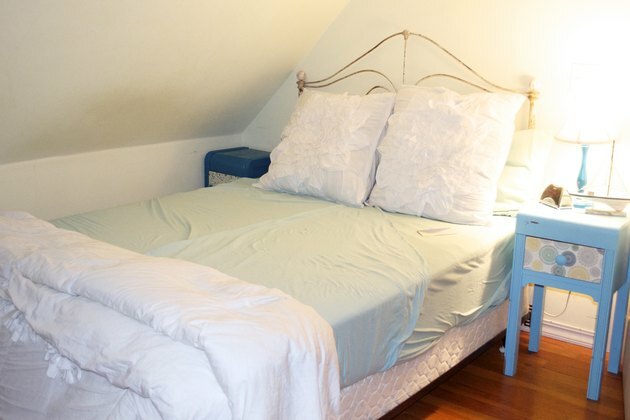 In What Order Should Quilts, Down Comforters, Blankets and Sheets Be Placed?